DAVID Reynolds has become the 5th different winner in the first 6 races of the 2018 Supercars season. 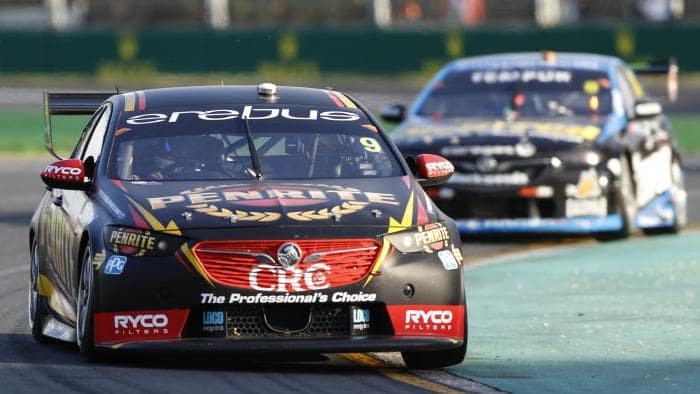 Reynolds began on the front-row to continue to take victory for the final race of the Coates Hire Melbourne 400 weekend, heading home Nick Percat in 2nd and Jamie Whincup in 3rd. Jamie Whincup claimed the inaugural Larry Perkins Trophy with the highest accumulation of points over the weekend. The majority of the field was able to avoid the black and orange Holden but Rick Kelly wasn’t. The damage ending up with both cars out of the race, while Lee Holdsworth also required repairs that cost him two full laps that he fell behind.